Book club fun in Memphis and Washington, D.C.! 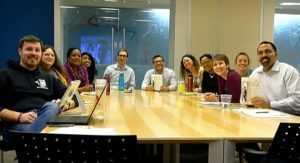 The Education Trust in Washington recently chose The Book of Isaias for its in-house book club, and I got to chat with the group through video conference. What an experience! 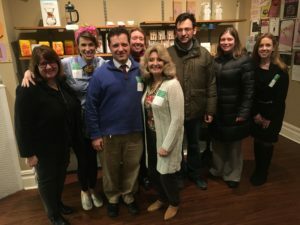 It was so much fun to connect with this super-informed group of readers. I was especially honored that among the people in the audience was John B. King, who had served as U.S. Secretary of Education during the administration of President Obama. (He’s at the right front in the photo above.) Thank you to Robin V. Harris for setting up the event. Closer to home, I recently gave a talk to the book club organized by Muddy’s Book Shop in Memphis. Among the people in attendance was Patricia Henderson, a college counselor who’s portrayed in the book. I was happy to reconnect with her, swap old stories, and to meet readers who care about Isaias and the people around him. Just like the group in Washington, these readers had informed, intelligent questions and comments and it was a pleasure to interact with them. Thank you to Kat Gordon for organizing. The Book of Isaias is an excellent choice for book clubs. 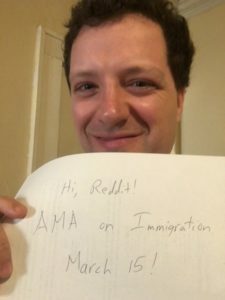 It’s timely, it’s a fast read, and people learn so much not just about immigration, but about life in America today. So if you’d like me to speak to your book club in person or by way of video chat, just reach out to me via my contact page. 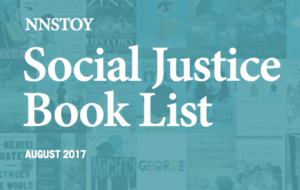 I’m pleased to announce that The Book of Isaias has been included in the Social Justice Booklist published by the National Network of State Teachers of the Year. This network is made up of teachers who’ve been honored as the best in their respective states. I took a look at the list, and I’m happy to say The Book of Isaias is in some good company – the list includes recent masterpieces such as Enrique’s Journey by Sonia Nazario as well as tried-and-true classics such as The Diary of a Young Girl by Anne Frank and Of Mice and Men by John Steinbeck. I’m honored to be on the same list. You can read the entire list here. 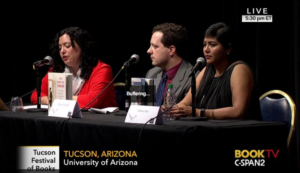 Earlier this year I had the chance to appear on C-SPAN2 Book TV with fellow author Julissa Arce. Click here to watch! Thank you to IRE for putting on a stellar lineup of immigration and immigration-related panels at its 2017 national conference in Phoenix. I was honored to have a chance to speak along with Aubrey Aden-Buie of Reveal and Mirwais Jalalzai, an Afghan journalist now living in the U.S.